Theoretical Physicists are the guys that come up with various theories and explanations of the physical universe including the Wave Theory, String Theory and many other theories. But how close are they to developing a theory that satisfactorily explains the physical universe? Not that close it seems. So here are some thoughts that might change that. The attempt is to find a Theory of Everything (TOE), a final theory, ultimate theory, or master theory, if you will, a hypothetical single, all-encompassing, coherent theoretical framework of physics that fully explains and links together all the physical aspects of the universe. Finding a TOE is one of the major unsolved problems in physics. Well we are going to dip our toe into this TOE. In the field the top 10 Theoretical Physicists have been Albert Einstein, Max Planck, Werner, Heisenberg, Erwin Schrodinger, Stephen Hawking, Edward Witten, Peter Higgs and Roger Penrose. These are the main proponents of some of these theories. Now let's look at some of the main theories. Modern physics has two basic scientific laws: quantum physics and general relativity. These two scientific laws represent radically different fields of study. Quantum physics studies the very smallest objects in nature, such as atoms for example, while relativity tends to study nature on the scale of planets, galaxies, and the universe as a whole. (Obviously, gravity affects small particles too, and relativity accounts for this as well.) Theories that attempt to unify the two theories are theories of quantum gravity, and one such theory is string theory. String theory is a theoretical framework in which the point-like articles of particle physics are replaced by one-dimensional objects called strings. It describes how these strings propagate through space and interact with each other. On distance scales larger than the string scale, a string looks very much like an ordinary particle, with its mass, charge, and other properties determined by the vibrational state of the string. In string theory, one of the many vibrational states of the string corresponds to the graviton, a quantum mechanical particle that carries gravitational force. Thus string theory is a theory of quantum gravity. The first person to explain how Wave Theory could account for the laws of geometric optics was Christiaan Huygens in 1670. Every point on a wave-front may be considered a source of secondary spherical wavelets which spread out in the forward direction at the speed of light. The important stable datum used here is the later theory by Einstein that the speed of light is considered the fastest one can go in the physical universe. Hand-in-hand with the question of quantum gravity, string theory attempts to unify the four forces in the universe -electromagnetic force, the strong nuclear force, the weak nuclear force, and gravity - together into one unified theory. In our universe, these fundamental forces appear as four different phenomena, but string theorists believe that in the early universe (when there were incredibly high energy levels) these forces are all described by strings interacting with each other. All particles in the universe can be divided into two types: bosons and fermions. String theory predicts that a type of connection, called supersymmetry, exists between these two particle types. Under supersymmetry, a fermion must exist for every boson and vice versa. Unfortunately, experiments have not yet detected these extra particles. Supersymmetry is a specific mathematical relationship between certain elements of physics equations. It was discovered outside of string theory, although its incorporation into string theory transformed the theory into supersymmetric string theory (or superstring theory) in the mid-1970s. So there is no shortage of theories regarding the universe and how to reconcile or link other 'established' theories, such as quantum mechanics and quantum field theory for example, and all of these are essentially trying to determine the freedoms and barriers extant within a universe and to find a universal theory or explanation that explains all of the universe, as we know it. Let's take a different approach. Looking at the universe from the viewpoint of being a game we can see that laws utilised in this universe form the barriers and freedoms available. In simplistic terms for example gravity is a law which provides barriers and freedoms. One cannot just float off into space, yet we do have the freedom to travel across the surface of an object large enough to have a gravity to stop one from floating off into space. So these laws could be considered agreements of the universe as part of the inherent structure of the universe in order to provide a playground in which to operate. Space, for example, can be construed as a barrier. The more space between points or objects, the bigger the barrier and the longer it takes a physical object to move from one point to another. The effort required to travel is proportional to the distance one wants to travel. It takes little effort to walk the body across the room. It takes a lot more effort to move it across town, a much bigger effort to travel the moon or another planet and a herculean effort for a mass to cross space to another star system. Now if one was an entity that did not have a physical body then the barrier would be academic. One could consider Space as being a viewpoint of dimension. One would be the creator of Space. One has to have space for objects and points to be in it but one is not limited in space as an entity outside of the physical universe as one is outside the barriers set up for the physical universe. One can operate within the barriers set in the physical universe as a physical being. If one was a prime mover outside of the physical universe one, as a prime mover, would not be subject to the barriers of the physical universe. Further, one might even be able to decide and set the barriers and freedoms of that universe. Whether there was a big bang or a never ending continuation or a deliberate construction of the universe at some time does not detract from establishing the authorship of the universe. Such discussions focus on the how, not the why. What if the universe was constructed this way on purpose? That would imply a purpose senior to the physical universe. It would not imply that current theories, such as the big bang, string, and other theories are not correct as, as we have just said, they are just the postulates of HOW the universe was created and operates. So the universe could have been created by a prime mover, or movers using the big bang theory. The big bang theory does NOT prove there is no God or Gods. 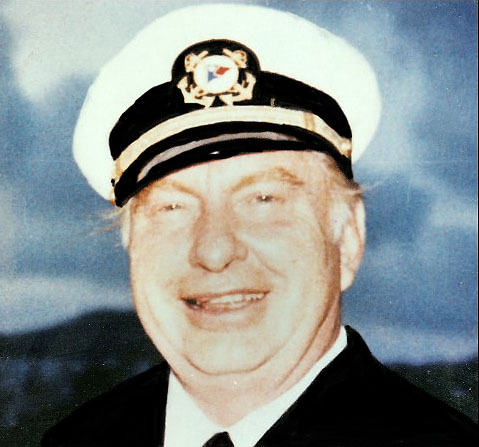 L. Ron Hubbard, in his philosophy, went into this to a large degree but from the viewpoint of how this benefits the well-being of individuals and establishing the construction of an individual and their rehabilitation. His research, on this, was primarily focused on the individual rather than the physical or MEST universe as it is called, (MEST being an acronym for Matter, Energy, Space and Time). However some of the basic principles he researched and published can be validly applied to the physical universe. For example Games Conditions with their inherent barriers and freedoms, formulations and agreements. If one views the physical universe as a playground then the barriers and freedoms imposed become more apparent. Distance is a barrier for example, as is Gravity and the apparent limiting factor of the speed of light and while we are on the subject of light. Einstein came up with the postulate of E=MC2 (Energy equals matter times the speed of light (or photons) squared) which is a physical proposal. E=mc2 means that mass is condensed energy, and in its purest form, energy is light. This essentially says that matter consists of photons which have somehow become condensed into more complex structures. If matter is condensed light, then its mass is actually condensed kinetic energy. So this is an agreement of the relationship between energy, matter and the speed of photons travelling through space. This is a barrier proposing that light or photons (light particles) are the fastest particle in the physical universe and that nothing can travel faster than the speed of light. But why is the speed of light squared? The reason is simply that kinetic energy, or the energy of motion, is proportional to mass. When you accelerate an object, the kinetic energy increases to the tune of the speed squared. Matter converts back into energy. However physicist Charles Bennett of Johns Hopkins University says that there is no limit to how fast the universe can expand so although Einstein's theory that nothing can travel faster than the speed of light in a vacuum may hold true but as space can be stretched or increased (remember Space is a viewpoint of dimension) and is simply space that means that light can travel faster than the current set 186,000 miles per second (300,000 kilometres per second) because if space were to expand at a rate five times, shall we say, of the speed of light then light would also travel at that speed. Now we come to the question of the prime mover. If you added a prime mover to the equation you might have something like this. This would be a Static. To consider how this might apply to this paper let's look at some of the information researched and provided by Hubbard. An extract from The Phoenix Lectures entitled, CONSIDERATION AND MECHANICS will set the tone. He wrote that, "Considerations take rank over the mechanics of space, energy, and time. By this it is meant that an idea or opinion is, fundamentally, superior to space, energy, and time, or organizations of form, since it is conceived that space, energy, and time are themselves broadly agreed-upon considerations. That so many minds agree brings about Reality in the form of space, energy, and time. These mechanics, then, of space, energy, and time are the product of agreed-upon considerations mutually held by life." That is to say, a Static is outside of the physical universe. It has no physical qualities and therefore not subject to physical states of beingness. It is capable of affecting the physical universe and this puts man, essentially in the driver's seat rather than as a passenger in life. As a follow on from AXIOM 1, this puts man firmly in charge either knowingly or unknowingly. The static is the decider of things. Not the physical universe, which is the effect of the decider of things. These axioms can be demonstrated. So a, or the, static considers and formulate something and that something coalesces into space, energy, objects and time. They exist because it conceives them. One could say that photons are the physical manifestation of perception and it follows that if matter is condensed energy which is condensed photons then it is past perceptions that have originate matter as we know it. Hence the formula above which puts Life as being the most powerful in terms of production. Space in particular is created by the static. Space is something to put something in. Currently space in the MEST universe is expanding. So more space is being entered in to it or, in short, being created. Photons are postulated particles in space for example. They are emitted by stars and other celestial bodies. As the universe is expanding the further stars are moving away from the central point at a fast and faster speed. This has been noted with the Doppler effect (The Doppler effect (or the Doppler shift) is the change in frequency or wavelength of a wave in relation to an observer who is moving relative to the wave source. It is named after the Austrian physicist Christian Doppler, who described the phenomenon in 1842.). It tells us if an object is moving closer or further away from us. A red shift in the effect shows it is moving away and a blue effect means it is moving closer to us. But a Static can decide there are energy particles by considering that they there and then perceive them. They then exist. Anyone can do this. It is considered (Einstein's law) that matter is condensed energy so matter can be then grouped into larger and larger sized objects or formed into objects of different types. Time is not a separate entity. It is not something you can put in a bottle. It is simply the idea made manifest that space and that which is in space will continue to be. The moment that that which is is duplicated exactly it ceases to be and there is then no time for that any longer. The, or a Static, decided that space will be and so it is. The universe is in a constant state of change. All particles in the universe from the very small to the immensely large are changing either in position or state. This gives the apparency of time. Looking at this the other way round, one 'sees' time by observing change. When there is no change there is no time. There is no time in a static's universe as there is no change in that universe. There is only time in a universe that has change in it, i.e. the physical or MEST (Matter, Energy, Space and Time) universe. a. AS-IS-NESS is the condition of immediate creation without persistence, and is the condition of existence which exists at the moment of creation and the moment of destruction, and is different from other considerations in that it does not contain survival. b. ALTER-IS-NESS is the consideration which introduces change and therefore time and persistence, into an AS-IS-NESS to obtain persistency. c. IS-NESS is an apparency of existence brought about by the continuous alteration of an AS-IS-NESS. This is called, when agreed upon, Reality. d.NOT-IS-NESS is the effort to handle IS-NESS by reducing its condition through the use of force. It is an apparency and cannot entirely vanquish an IS-NESS. This is pretty self-explanatory and easy to demonstrate. One can locate the moment of creation of something and when one does it will vanish. This is done in Scientology and Dianetic Auditing on a regular basis. Experiments have shown that it can also be demonstrated in the wider MEST universe. The law of the conservation of energy blows up right here. This, too, can be demonstrated and is done so in auditing. This wraps it all up together in a tidy little bow. The moment of any creation is instant and does not last unless a lie or change is entered into it. As a result of that deliberate change, persistence of the creation is attained and so time marches forward as a measure of that change. The moment one spots the exact moment of the creation and duplicates it, as a static, the lie is exposed and the creation, reduced to its original state will vanish as there is no longer any lie to ensure persistence and so time. Again this is adequately demonstrated in Scientology auditing. Conclusion then is that Life, according to the formula above is responsible for the creation and persistence of the MEST universe and the laws contained therein. It is rather like, setting up a game and inviting other to play and saying, "OK, here are the rules, you can do this and that but you can't do so and so. OK, Play!" This gives unity to the physical universe and explains how it can exist and continue to exist. The interesting thing is that, given the willingness to look, virtually anyone can see this and participate in the demonstration of this. *42. a humorous reference to the Big Computers answer to everything in the Hitchhikers Galaxy novels by the late Doug Adams.